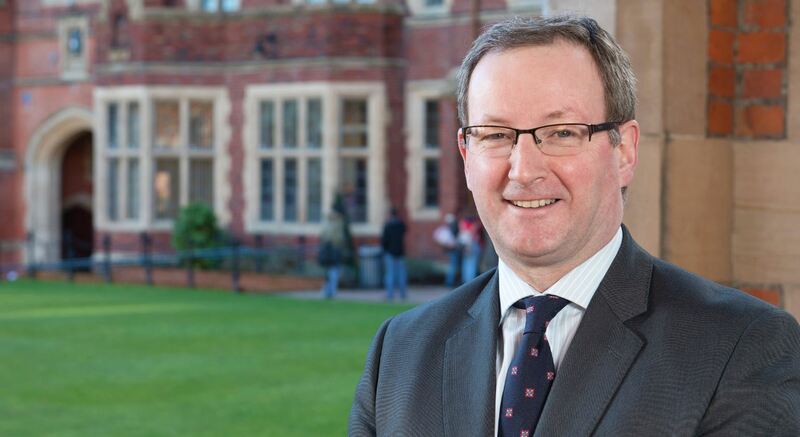 The Vice-Chancellor’s remains will be transferred to Belfast this evening (Tuesday 06 June) and are expected to arrive at The Lodge at approximately 7.30pm. Those wishing to pay their respects in person are welcome to attend the family home until 9.00pm this evening and from 12.00 noon until 9.00pm tomorrow. Funeral Mass will be in St Brigid’s Parish Church, Derryvolgie Avenue at 11.00 am on Thursday, with the cortege leaving The Lodge at approximately 10.30am. Light refreshments will be served after Mass in St Bride’s Hall. En route from St Brigid’s to burial in Desertegney Cemetery, Linsfort, Buncrana, the cortege will drive through Queen’s, passing along the front of the Lanyon at approximately 1.30pm. This is a unique opportunity for graduates, staff and students of the University to pay a final and fitting tribute to our Vice-Chancellor. Anyone wishing to make a donation should do so to Cancer Research UK or to Cancer Focus Northern Ireland. Should you have any queries in relation to the above, please contact the Registrar's Office.